This has been my favourite of all of the works that poured from the pens of lettrists and situationists and all the -ists of the place and period. These quotes are drawn from the translation of tom mcdonaugh’s the situationists and the city, which was for the most part a truly inspired collection, and wonderful to read in rapid succession to The Beach Beneath the Streets. Nice to see Mike Davis there in the acknowledgments as well, for his inspiration and encouragement of the project. We are bored in the city, there is no longer any temple of the sun. Between the legs of women walking by the Dadaists would have liked to find an adjustable wrench, and the Surrealists a crystal goblet–that’s lost. It is not often I love the complicated and baroque, the privilege of boredom, but I swooned a little over cities geological. Realised much of what I seek in my rambles through the city are indeed the original conceptions of space (though more than that, how they lead you to a taste the original experiences, because how else can you feel the weight of past lives lived in dialectical relation to such spaces?). – a new conception of space (whether based on a religious cosmogony or not). – a new conception of time (numeration starting from zero, various ways for time to unfold). 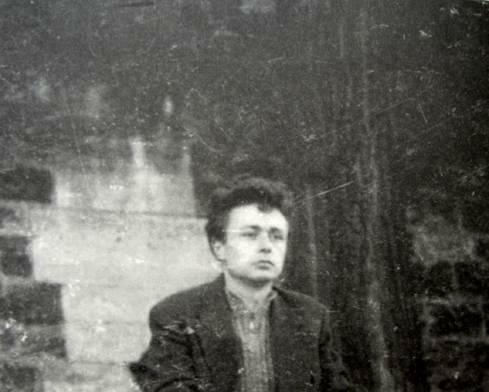 There is little more about Gilles Ivain here, or elsewhere that focuses on the situationists. The toll of mental illness and the lack of sympathy and understanding perhaps, alongside the toll of intellectual inquiry and the struggle for change.